We continue to stay busy in third grade, as we work to finish up various units, to review all third grade material, and to prepare for SOL testing that is quickly approaching. Last week was no exception, and this week is sure to be just as busy. We’re working hard to make sure everyone is ready for SOL testing in May! Aside from working last week, we also traded in tickets to prepare for our upcoming raffle, kicked off the school-wide food drive, and enjoyed some beautiful outdoor recess days. 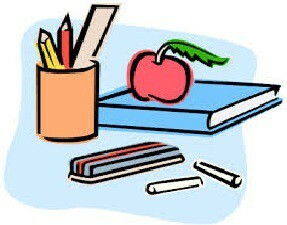 Please remember to check your child’s Monday folder for any graded work coming home from last week. I hope that everyone had a relaxing weekend and stayed dry. Now, let’s get ready to have another great week in third grade! In math this week, we will continue with our unit on money. We will review the value of the coins, we’ll practice counting money, we’ll work on making change, and we’ll learn about adding and subtracting money. In science, we will wrap up our matter experiment and begin learning about simple machines. In social studies, the students will continue learning about ancient Rome with Mrs. Turner. As for spelling, if your child has spelling words this week, please help your child study his or her spelling words each night in order to prepare for a spelling test by the end of the week. Here’s to another great week in third grade! Thanks for all of your help and support at home! ** This Wednesday, April 17th, the SCA is sponsoring a spirit day. It will be, "Career Day", at Peak View. Dress for the job that you wish to have in the future! 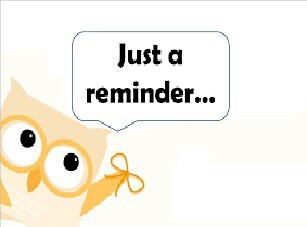 ** Please complete and return the Monticello field trip form by this Thursday, April 18th. Please remember that there is a fee of $13.00 for all students. Third grade will make a decision about chaperones by the beginning of next week. ** Help us fill the stage with food! 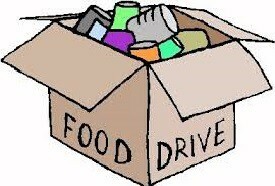 The Pioneer Backpack Food Drive will continue until this Thursday, April 18th. Once the stage if filled, we will celebrate with a school-wide outdoor nature walk! Please click on the link below for additional information. ** There is no school this Friday, April 19th. ** Due to a snow make-up day, there IS school on Monday, April 22nd. Please feel free to contact me at rthomas@rockingham.k12.va.us if you have any questions or concerns. Have a great week!